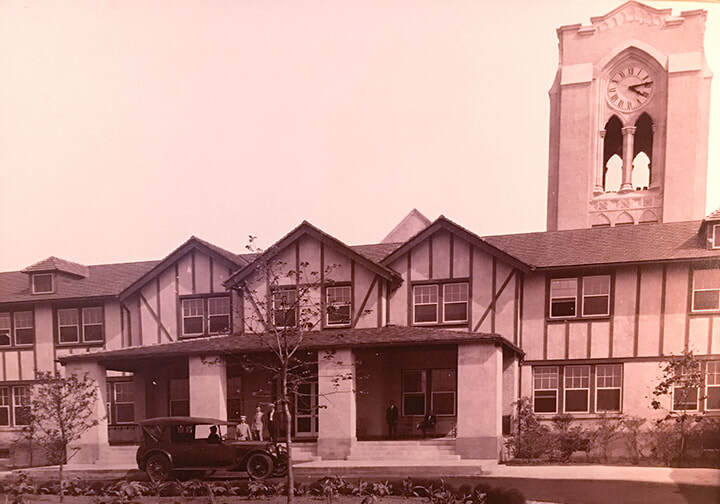 The Olympia Fields Country Club Historic Landmark Foundation will coordinate public tours at scheduled times throughout the year of all properties receiving Foundation preservation grants. This will allow members of the community and all to partake in the appreciation and educational importance of the architectural significance of the properties. The Foundation currently offers guided tours of the iconic Clubhouse at OFCC. Tours are available by appointment only, at 10am on the 1st and 3rd Monday of each month from April through November. Special appointment tour requests from interested groups will be accepted and are subject to OFCC and Foundation personnel availability. If you would like to participate in a tour please email your request at least one week in advance of your visit. 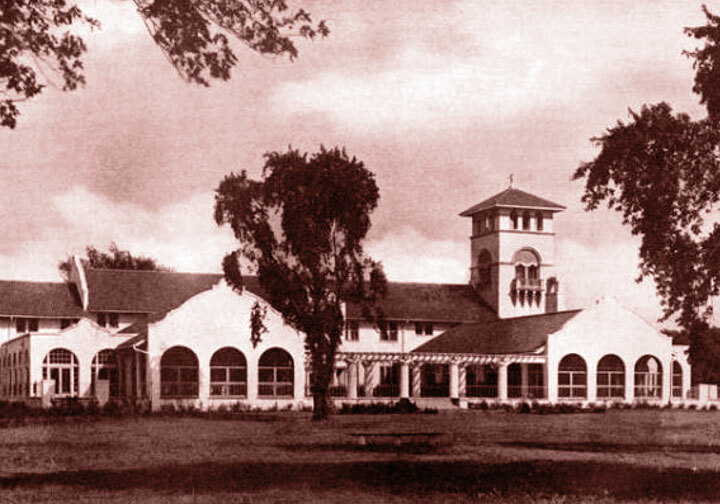 George C. Nimmons was quite proud of the grand Clubhouse he designed for Olympia Fields Country Club, where he was Chairman of the Club’s Founders. He also loved home movies, and in 1931 he filmed his creation. 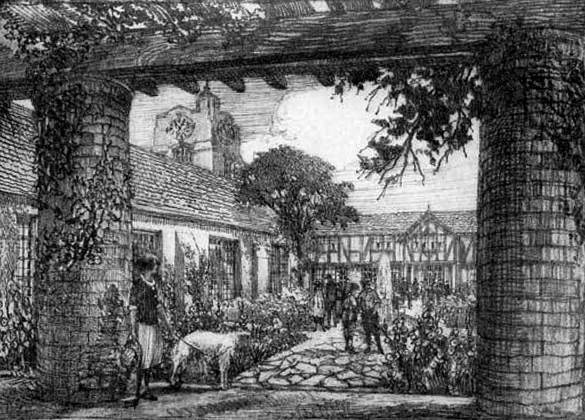 The first half of the film shows the Club’s exterior from a number of angles, and members engaged in typical activities. Former Club President George Smalley makes a cameo appearance. 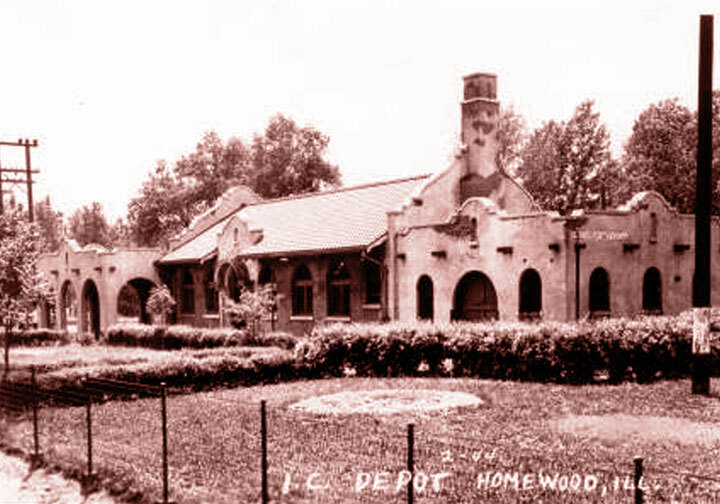 Notice especially his shots of the old veranda, now enclosed, which ran 260 feet along the south side of the Clubhouse, and the towering windows of the Great Room, now called the Normandy Room. The second half of the film shows the OFCC Polo Team in action against Milwaukee on the club’s polo field which was located on the west side of the railroad tracks. The observation of the existence of an OFCC Polo Team is yet another unique historical fact about Olympia Fields Country Club.